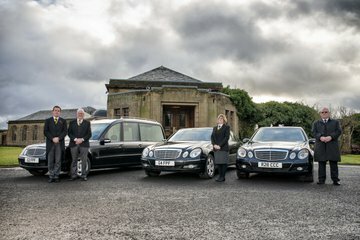 Compare funeral directors in Rutherglen and read verified reviews on the UK’s online funeral resource. Use Funeral Zone Listings to find local funeral directors in Rutherglen that meet your specific needs. You can organise the search results by ‘best rated’, 'nearest' or ‘most reviewed’. There is also a handy Google Maps feature so you can see exactly where each funeral home is in relation to each other. We highly recommend Mitchell’s Funeral Directors after the service they provided for my dad’s farewell. They listened and respected our wishes which ultimately came from my dad before he passed. They were very considerate and very professional. They really do mean what they say in their brochure and they made the process a lot easier than we anticipated. We want to thank Liam, Irene, Mike & also Donna, who did a fantastic job helping everyone at the funeral get to know my dad and celebrate his life. A remarkable service, i cannot stress how much your amazing services helped us at a very difficult time. John got an amazing send off. We are no strangers to funeral planning and I can say there is no way we will be using any other funeral director. Perfect service at an unbeatable cost Mitchell's should be everyone's 1st choice. From the very first phone call, we received a first class service. Irene and Liam were both helpful and friendly and so considerate of our circumstances and explained everything fully to us. They took charge of the whole process but at the same time included us and communicated with us at every step. They met all our wishes for the funeral. All costs were discussed at the start and there were no hidden surprises. The funeral costs were the cheapest we had been quoted (around £2,000 cheaper!) and they offered the same package as other funeral directors. Donna the humanist, created a lovely reading that captured our Dad perfectly. We cannot thank them all enough for arranging such a special funeral for our dear beloved dad.